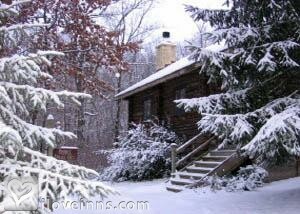 Select one of two private, handcrafted, luxury log cabins amid a country setting on 5� wooded acres. The location is just north of Platteville, Wisconsin a short distance from Galena Territory in Illinois and Dubuque, Iowa, with many attractions, shops and restaurants. 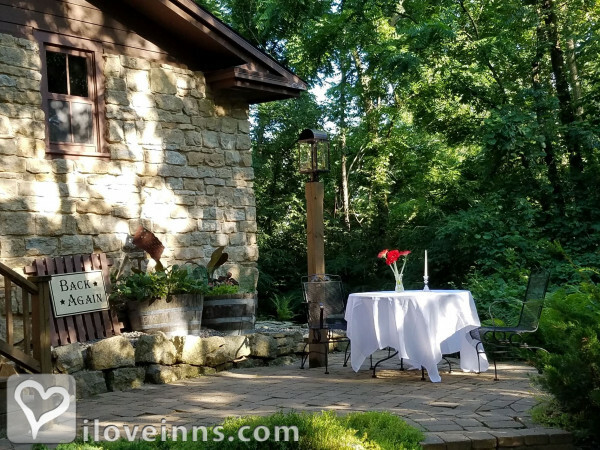 Romantic accommodations include Cabin Life, a round-log pine with a wood-burning fireplace, whirlpool for two, queen-size cedar log bed and breakfast delivered to the door each morning. 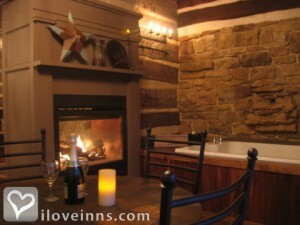 The historic hand-dewn log and stone, Back Again, is popular for honeymoons, special occasions and getaways. It features two bedrooms, a two-person whirlpool with a waterfall spout and a rooftop cupola beacon. Relax by the gas fireplace, inviting rock sun room, or in the kitchen. Enjoy the tranquil ambiance of this peaceful escape. Payment Types Accepted Include Master Card and Visa. 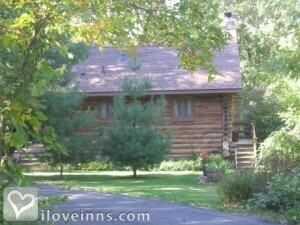 This property has 2 guest houses with private bath, 2 with fireplaces, 2 with whirlpools. The types of beds available include Double and Queen. The log guest houses, tucked into the woods, each have their own private setting. Each cabin features a whirlpool for two next to a fireplace. Both guest houses made extensive use of salvaged wood, timbers, logs, and stones for the construction and restoration processes. The work was done largely with century old tools and techniques by the innkeepers. The 6 acres are mostly wooded. The grounds at Walnut Ridge are well maintained and picturesque. A hobby vineyard has recently been planted on the grounds. 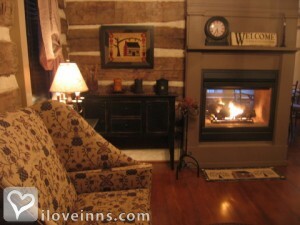 The innkeepers live on the grounds in a restored 1800's log home. 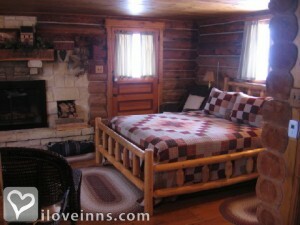 "Cabin Life" Guest House: 2-night minimum on weekends and holidays. 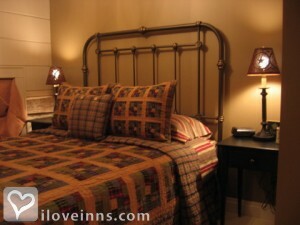 "Back Again" Guest House: 2-night minimum for all reservations. Cancellations less than 31 days prior to the reserved date will be handled as follows: If we are able to re-secure the cottage, a refund of deposit will be credited to your account, minus a $25.00 cancellation fee. If we are not able to re-secure the cottage, no refund of deposit will be issued, and your account will be charged for the additional nights you reserved. All cancellations and date changes are subject to a $25.00 administrative fee. There are no refunds for early departures. The hand-hewn pine log cabin (Cabin Life) guesthouse is constructed of native red pine logs and features excellent craftsmanship and detailing. 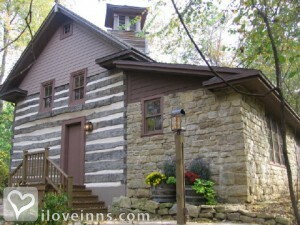 The "Back Again" guest house is a unique 1800's log and stone building, professionally restored.. 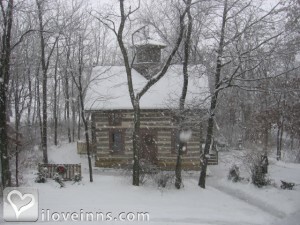 The main house (innkeeper's private residence) is a combination of 3 restored 1800s log buildings. Galena IL, Mineral Point WI, Wisconsin First Capital Park, Bevan Lead Mine and Museum, Stonefield Village, Dubuque IA. Information is provided in each guest house. Let's get away to rest and relax. It doesn't pay to feel so taxed. 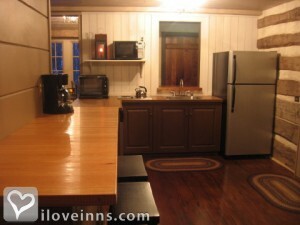 A charming snug cabin we did find to laugh and to love and to find peace of mind. How delightful each room! How homey! How cute! And did you catch that sunrise? What a beaut! Sitting and reading enjoying the waterfall tub, basking in the fire while getting a foot rub. Love and laughter fun playing games... Who won the most? We'll not name names. In the fire's soft glow we sit at day's end. Treasuring these moments with each other's best friend. Thank you Chuck + Jill for these moments to treasure. This cabin, these memories will warm our hearts forever. Travel Wisconsin, Wisconsin Department of Tourism.